Dealing with organization controversy and crisis in an evolving media world. Are you READY? 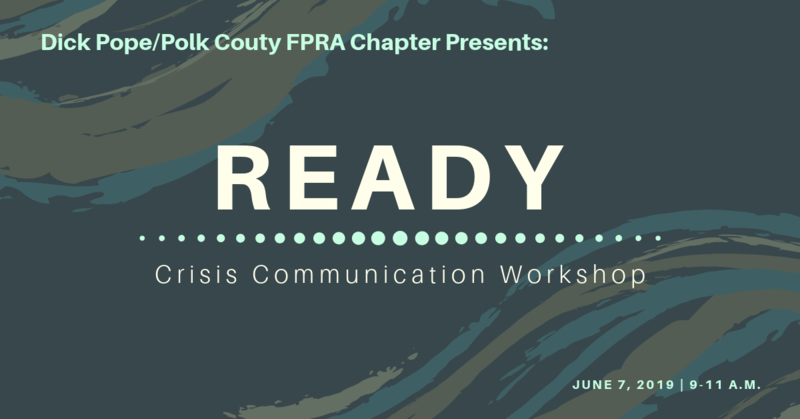 Join the Florida Public Relations Association to start your plan for dealing with organization controversy and crisis in an evolving media world. Expert public relations professionals will share experiences and guide you through a table top exercise designed to empower you to identify and plan for crises of all scopes. You’ll leave with the tools and resources you need to craft a response plan that represents your organization’s values. The intense two-hour workshop is designed to fit the demanding professional schedules of small business owners and nonprofit professionals. Get READY – register today! Event: 9:00 – 11:00 a.m.